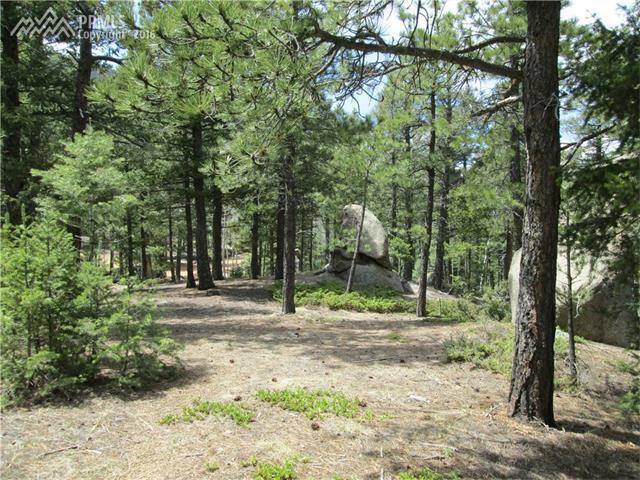 Very private site approximately 1/2 mile to club house, lake, pool, etc - tall pines & some rock out croppings - gently slopes to the west - Lot is in a canyon with mountain views in all directions - GPM on well per well log in only 1.25 GPM so cistern would be needed- no close neighbors Crystal Park is a private gated mountain community that feels like you are far away but is located only 10 minutes from the gate to either downtown Colorado Springs or Manitou Springs. 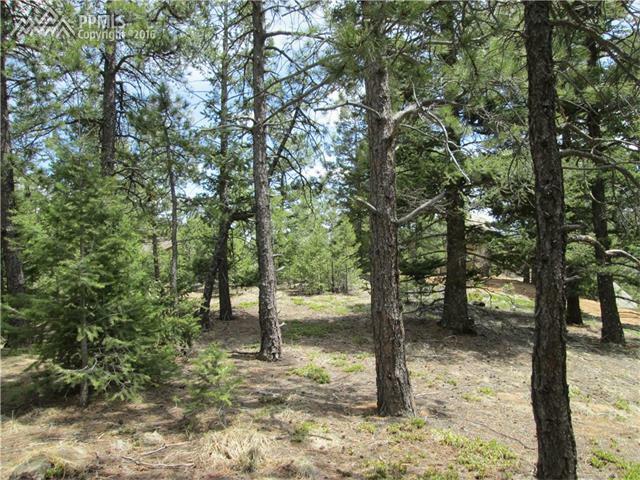 Situated on 2000 acres with only 360 home sites . 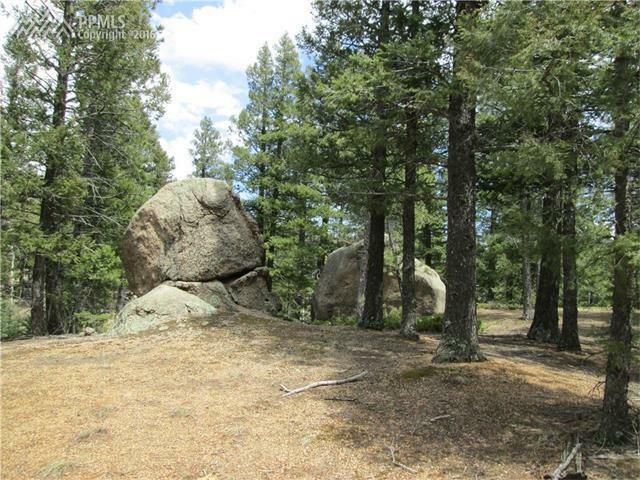 surrounded by National Forest and open space. In the upper park there is a stocked fishing lake, club house, pool, tennis court, basketball court and play ground along w/ 3 heliports & full time employees for snow removal and road maintenance . Fire protection is also on site wi/ Colorado Springs and Manitou Springs fire departments also available. There is no hillside ordnance or landslide areas so building requirements are less expensive than in most west side areas. There are year round activities for those who want to participate or you can just "hide out" in your new home and enjoy the beautiful scenery, giant rock outcroppings, the rushing creek or the beautiful waterfall. Hiking is abundant and the history of the Park is fascinating. The Dixon Group at Keller Williams Integrity- Licensed in the State of Colorado. The real estate listing information and related content displayed on this site is provided exclusively for consumers’ personal, non-commercial use and may not be used for any purpose other than to identify prospective properties consumers may be interested in purchasing. 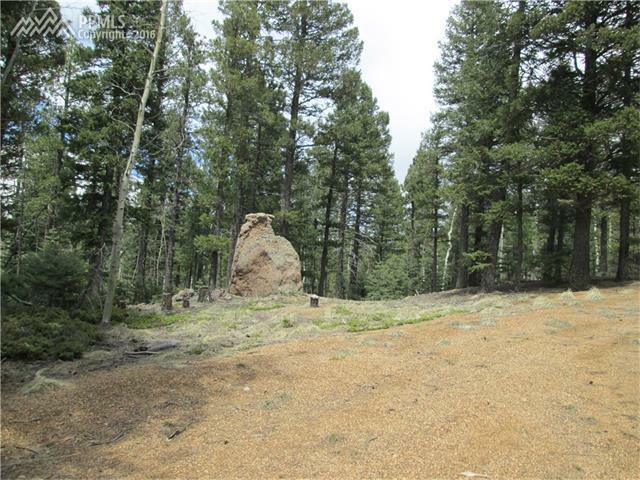 This information and related content is deemed reliable but is not guaranteed accurate by the Pikes Peak REALTOR® Services Corp. Data last updated 2019-04-21T20:40:49.843. © 2019 Information and Real Estate Services, LLC. IDX information is provided exclusively for consumers' personal, non-commercial use and may not be used for any purpose other than to identify prospective properties consumers may be interested in purchasing. Information is deemed reliable but is not guaranteed accurate by the MLS or The Dixon Group at Keller Williams Integrity. Data last updated: 2019-04-21T20:37:44.467.